Images taken in the area of Abraham Lake, Alberta, and the nearby Kootenay Plains. 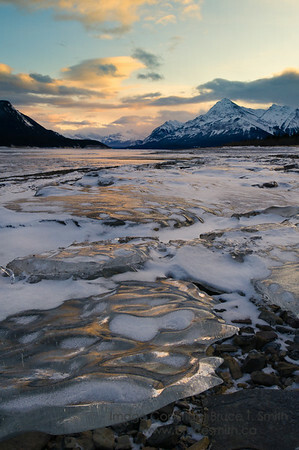 For more, see the Events / Winter Magic 2011 and Landscapes / Winter Landscapes galleries. Sunset across the ice from the shore of Abraham Lake.